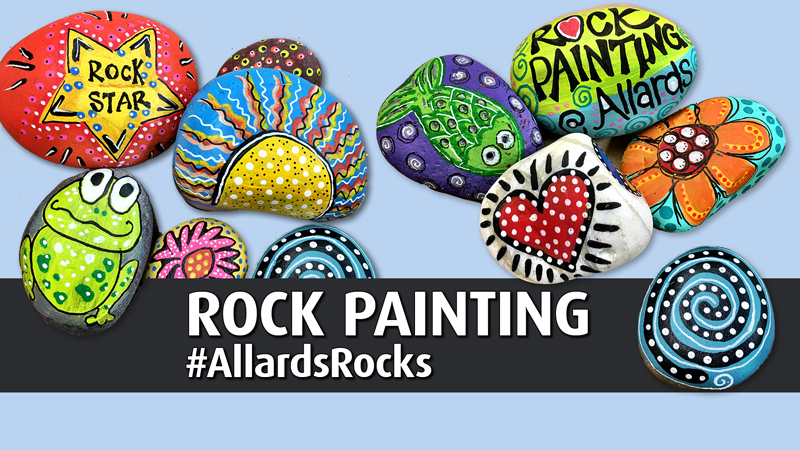 When life hands you a bag of rocks, paint them! Join us while we turn ordinary stones into pieces of art. We’ll show you how to prep your rocks, paint them, and seal them so your designs will stay bright and colorful for years to come. You get to bring home paint and acrylic markers so you can continue your newfound hobby at home. We even supply the rocks! See what the buzz is all about on social media….people are painting rocks all over the world. Keep them to decorate your garden or place them on a nearby path so they can be found by an unsuspecting passerby. This class is all kinds of fun!